1. 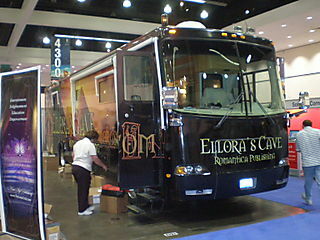 Apparently, THE accessory to have is your own motor-home…just ask Jackie Collins and the softcore writers at Ellora's Cave. 2. 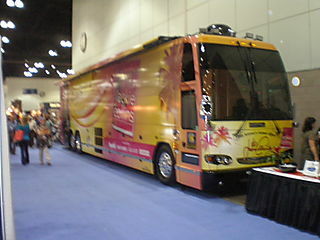 Strolling the aisles, picking up free books is tough work. 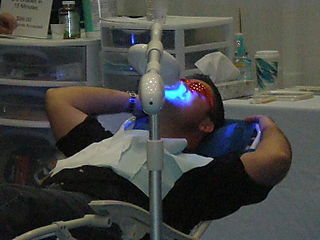 What could be more relaxing than a laser-tooth brightening treatment? I am in heaven here. I have already made three trips back to my car to unload books and galleys…and this is on top of the bounty of books I brought home yesterday. On Friday, I mostly talked to authors, booksellers, sales reps and countless librairians….and gave away a bunch of MONK books at the MWA booth. Today the convention seems to be deluged with desperate, frantically clueless wannabes (how they got in, I do not know). 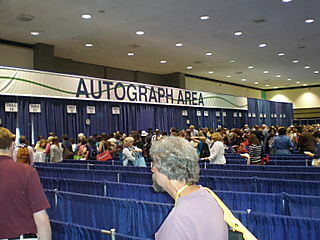 Before the doors even opened, I was practically tackled by a woman who pitched me her book (something to do with elves, angels, past lives, the Clinton “murders” and iraq) even though I told her repeatedly that I wasn’ta publisher or a producer who options books. I was just an author. She wouldn’t let up…and then went from me to some other poor soul. 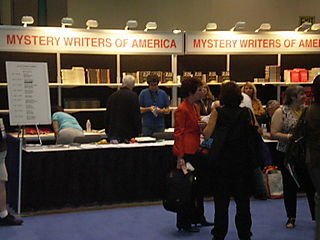 I am going to be at BookExpo at the Los Angeles Convention Center tomorrow and Saturday, signing and giving away copies of MR. MONK IN OUTER SPACE at the Mystery Writers of America booth alongside Max Allan Collins, who will be doing the same with his latest CRIMINAL MINDS novel. 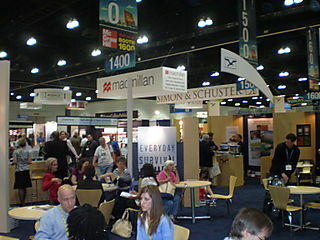 Attending BookExpo will also be a welcome distraction from anxiously waiting to hear whether or not I've managed to snag a major studio screenwriting assignment that I have been vying for over the last few weeks…I am one of the final candidates now and I should know any minute if I got it. I am trying not to get my hopes up but, as experienced and cynical as I am, I can't seem to help doing it anyway. Maybe its because its a project that is *perfect* for me and that I would have a great time writing. If I get the gig, it's a big assignment that I will have to write very, very fast…so I might be absent from here for a few weeks. In the mean time, I am hard at work on MR. MONK AND THE DIRTY COP (book #8) and a new spec, which is based on a book I optioned earlier this year. And I've just learned that Oscar winner Gene Hackman and CSI creator/showrunner Anthony Zuiker will be among the speakers joining me, Bob Levinson, Jesse Kellerman, Heather Graham, Stuart Kaminsky, Rupert Holmes and Mary Higgins Clark at the International Mystery Writers Festival in Owensboro Kentucky, where my play MAPES FOR HIRE will be performed June 12-22. It looks like, no matter what, June is going to be a very busy, exciting and fun month for me! Can Dirty Harry be far behind? Over the last year or so, Rambo, Rocky, John McClane, and Indiana Jones have all emerged from their bungalows at the Motion Picture Home after decades in retirement to do battle in the box-office once again, Geritol in one hand, a syringe full of botox in the other. Now comes the news that Eddie Murphy is returning as Beverly Hills Cop, who was last seen in 1994. Brett Ratner is directing, no writer is set yet. Slice of SciFi has a lengthy and very entertaining Q&A interview with my friend Javier Grillo Marxuach about the development and production of his new ABC Family series THE MIDDLEMAN. Warning: his enthusiasm and glee for TV is infectious. 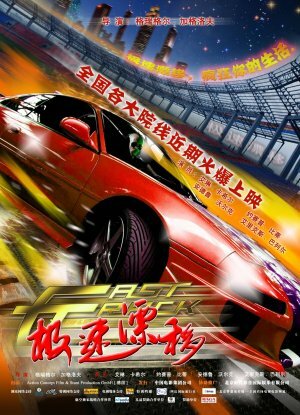 this time last year, is opening in theatres in China this week. The first poster is the one they are using to advertise the movie. The second poster is from Japan. I'm hoping the studio can get their hands on a couple for me! I should have waited for the DVD…the best way to watch this plodding movie is with a fast-forward button. Don't wait in lines to see it this weekend, see IRON MAN again instead. It's a lot more fun. Has New York Become too Safe for Mystery Writers? The New York Times reports that as the city becomes a safer, cleaner place to live, it has become a lot less interesting for mystery novelists to write about. IAMTW Grandmaster Donald Bain is wistful for the NY of yesteryear for other reasons. In January, Mr. Bain was the main speaker at a meeting of the Mystery Writers of America, held at the National Arts Club, opposite Gramercy Park. Mr. Gigante dispatched one of them to walk her home safely.